Donghae dragged his foot step by step in the hospital hallway. He came to the hospital to visit Seyeon. Donghae stopped right in front of Seyeon’s room. He stared blankly at the door in front of him. Slowly, his hand reached the door handle. Donghae took a deep breath as he opened the door. The door slowly opened and Donghae stepped his foot inside the room. Inside the room, he saw Seyeon with his mother and also a guy that he believed as Siwon, the guy who called him last night. Mrs.Jin and also Siwon looked at Donghae, making Donghae felt a little bit nervous. He bowed his body, “Annyeonghaseyo.” He greeted. Donghae took a look at the girl who was laying on the bed. Seyeon was still sleeping because of the sleeping pills. The Doctor had to give her the sleeping pills to make her calm. There was a huge guilty in Donghae’s heart when he saw Seyeon like that, because indirectly Seyeon became like this also because of him. “How is she?” Donghae asked with a low tone as his eyes kept watching the sleeping Seyeon. Mrs.Jin stroked Seyeon’s head softly. “She’s in traumatized because of the incident. She couldn’t stop crying and screaming until the doctor had to give her sedative injection to make her calm.” Mrs.Jin said with a sad tone. A tears fell down from her eyes. Donghae silent after hearing Mrs.Jin statement. Siwon stood next to Donghae. He watched his little sister with a sad stare. “I don’t know how to heal her wounds. I don’t know how can she continues her life after this.” Siwon said with a low tone. He clenched his hand, trying to hold his emotion. Donghae took a glance at Siwon before he looked at Seyeon again. “Is.. she… because of the incident… she…” Donghae seemed doubt to ask it, but Siwon seemed understood with the question that Donghae wanted to ask. “She lost her virginity.” Siwon said. Mrs. Jin started to cry after Siwon said that. He blamed himself even more than before. “Oh God, my poor daughter… eottohke…” Mrs.Jin sobbed. She buried her face on Seyeon’s hand. Donghae’s tongue felt tied. He stared Seyeon’s tired and sadness face for quite long until suddenly a sentence came out from his mouth. “Wae oppa?! Wae? !” Sooyoung pulled Donghae’s t-shirt. She cried so loud when she knew what exactly happened to Seyeon. Donghae just bowed his head, he didn’t dare to look at Sooyoung. While Kyuhyun just standing there without knowing what to do. Kyuhyun knew really well how Sooyoung’s felt now. He understands Sooyoung’s reaction. If he were Sooyoung then he might do the same thing as her. Sooyoung felt surprised by Donghae’s answered. “Mworago? You…” She couldn’t finish her sentence, instead she looked at Donghae with disbelief stare. Like a thunder on a shiny day, Sooyoung almost fell down the floor. Good thing that Kyuhyun immediately caught her. 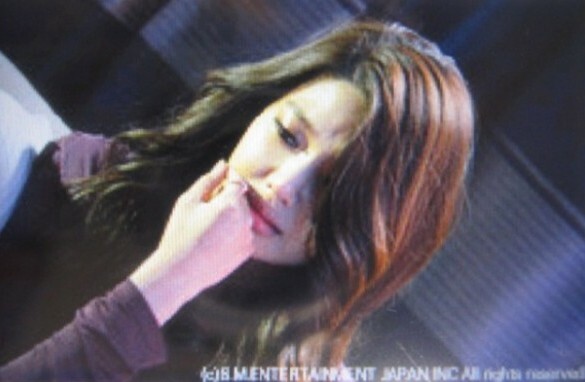 Sooyoung bit her lips, trying to hold her emotion. She didn’t know what to do. She looked at Donghae with a sad stare. “Why didn’t you tell me, Soo? Wae?” Donghae sounded really disappointed. A tears fell down from Donghae’s eyes. He lifted his face, trying to avoid eye contact with Sooyoung and also trying to hold back his tears. But it seemed useless, because his tears kept falling down. 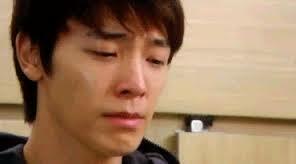 “Soo, do you know how I feel when I knew about your condition?” Donghae asked with a sad tone. Sooyoung just silent, like there was something stuck in her mouth. “I feel like a jerk, Soo…” Donghae continued. Sooyoung couldn’t take it anymore, she hugged Donghae and kept asking apologize to him. If usually Kyuhyun would be so angry and jealous when he saw Sooyoung with another guy, but this time he didn’t. He understood the situation that was happening between Sooyoung and Donghae. Beside, there was no need to jealous because he knew that the hug was just a friends hug, nothing more. Sooyoung closed her eyes, feeling the warm of Kyuhyun embrace. They were sitting on the sofa at the balcony of Sooyoung’s room. Kyuhyun tighten his hugged, trying to keep Sooyoung warm. A drop of water fell down onto Kyuhyun’s hand. He knew immediately that it was Sooyoung’s tears. He kissed the top of Sooyoung head. “Uljima Soo…” He said with a soft tone. Seyeon couldn’t stop crying. Ever since she woke up, all she did was crying and crying. She didn’t even talk to anyone, not even her family. That makes her family, especially her mother became so much stress. 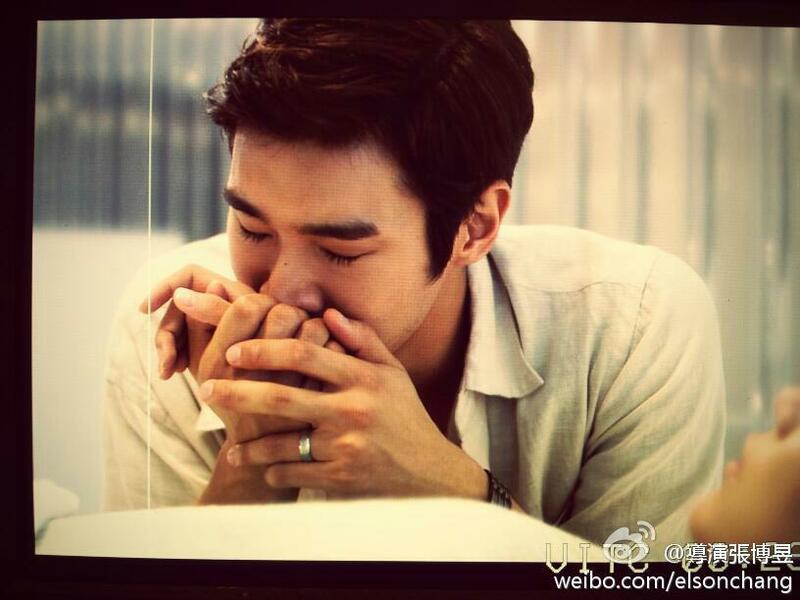 Siwon held Seyeon’s hand as he kept whispering some support sentence to her ear. “Gwenchana, Seyeon-ah. You’re save now. No one can ever hurt you. Appa, Eomma and I are here. We’re here for you. You’re a strong girl.” Siwon whispered to her ear. Mr.Jin, Seyeon’s father hugged his wife as he was looking sadly at his only daughter. His hand reach Seyeon’s head, and then he stroked it. His heart felt hurt to see his lovely and cheerful daughter became like this. He really wants to find the suspect and make him pay for what he did to Seyeon. “Appa, eomma, you guys can go home and take a rest. I’ll accompany Seyeon here.” Siwon said to his parents. Mrs.Jin refused it, “Sirheo, eomma wants to stay here.” She said. “Siwon is right. We need to take a rest, especially you. You’ve been here since yesterday. Let’s go home, yeobo.” Mr.Jin tried to persuade his wife. After a long conversation, finally Mrs.Jin agree to go home. She kissed Seyeon’s forehead before she go and so did Mr.Jin. Siwon sat at the edge of her bed and he kept hugging Seyeon. Seyeon was still crying, but not as loud as before. She didn’t want to let Siwon go even for only a second. She really needs someone to lean on. “Oppa…” Seyeon called his brother weakly. That was her first sentence since two days ago. Siwon became silent after he heard Seyeon’s sentence. He felt hurt, like there was a knife stabbed his heart and it’s bleeding. He didn’t know what to say. He tighten his held to Seyeon, trying to give her some power. Siwon couldn’t hold his sadness anymore. He kissed Seyeon’s hand as his eyes became teary again. He hate to see his sister became like this. He wanted to mad, but he didn’t know who he should mad at. There’s no way he would mad at God. Siwon only can pray and beg to god, so Seyeon could back again like she used to. “Palli mokgo.” Sooyoung was feeding Seyeon. Slowly, Seyeon opened her mouth and ate the food that Sooyoung fed her. She stared at Sooyoung secretly. Sooyoung noticed that and she stared back at Seyeon. “Waeyo?” Sooyoung smiled softly. Seyeon shook her head and then she bowed her head. She didn’t talk as much as before now. Seyeon is more like a quite type person ever since the incident. Sooyoung grabbed Seyeon’s hand and held it tight. “Don’t be afraid, I’m here for you.” Sooyoung said with a soft tone. Seyeon burst into cry and Sooyoung immediately hug her. “I hate myself! I hate my life!” Seyeon screamed in sadness. Sooyoung hugged her even more tight than before. She also cried to see her bestfriend like this. Donghae who saw all the scenes from outside the room also felt hurt. He wanted to see the old Seyeon. The cheerful and always full happiness. He missed the old Seyeon. Donghae decided to enter the room. There was a bouquet of white roses on his hand. “Annyeong ladies.” Donghae greeted with his bright smile. The two girls were looking at him. Seyeon froze like a statue. She felt ashamed to meet Donghae again because she’s different from before now. She’s dirty. She’s dirty and she didn’t deserve to be with Donghae. That’s all she thought about herself. Seyeon turned her body, so she won’t facing Donghae. She pulled her blanket until it cover her body from head to toe. Her tears started to fall from her eyes. “Seyeon-ah, wae geure. It’s Donghae.” Sooyoung said as she was trying to uncover the blanket. But it seemed like Seyeon didn’t really want to meet Donghae. She kept pulling the blanket to cover her whole body. Donghae looked at Seyeon with a sad stare. “It’s ok. Don’t force her. Maybe she’s tired. Let her rest.” Donghae tried to smile. She put the bouquet on the table next to Seyeon bed. “Mianhe Seyeon-ah… I hope you will get better soon. I just want you to know that I’m here for you. Take a rest. Annyeong…” Donghae said before he walked out from the room, leaving the crying Seyeon under her blanket. “Ani Soo. I can’t face him anymore. I’m ashamed. I’m not the old Seyeon anymore. I don’t deserve him. I don’t deserve anyone.” She sobbed hard. Sooyoung pulled her blanket. She turned her body to face her bestfriend. They both ended up crying together as they were hugging each other. Kyuhyun cleared his throat, making Donghae realized that he wasn’t alone at the balcony. Kyuhyun just looked at him with no expression, just like usual. Kyuhyun and Donghae’s relationship are still the same as before. “Sooyoung is here. She wants to meet you.” Kyuhyun said. Donghae turned his head to face Kyuhyun. He looked at Kyuhyun’s expression. There was no jealous or anger showed on his face. That makes Donghae a little bit confused. “You’re not mad or jealous?” He asked. Kyuhyun smiled a bit, showing his evil smile. “She comes here to meet you as a friend, why should I be mad or jealous? 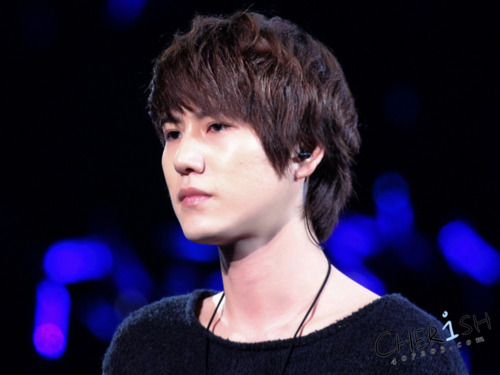 Oh, or maybe you expect more from her?” Kyuhyun showed his cold expression again. “Of course not. I know to whom she belongs to.” Donghae said as he stood up from his seat. “She’s waiting in the living room.” Kyuhyun said. Right before Donghae walked out, Kyuhyun patted his shoulder. “About what happen to Seyeon, it wasn’t your fault. You don’t have to blame yourself.” After said that, Kyuhyun walked away from Donghae, leaving Donghae behind. Donghae smiled a bit to hear Kyuhyun’s statement. Seems like his relationship with Kyuhyun will become better than before. “Donghae oppa.” Sooyoung called him softly. Donghae smiled a bit and he took a seat on the sofa next to Sooyoung. Sooyoung was looking at Donghae, and she could tell that Donghae wasn’t fine. He looked tired and also sad. “How’s Seyeon?” Donghae opened the conversation between them. “Still the same as the last time you met her.” Sooyoung answered. Donghae sighed heavily as he bowed his head. Donghae couldn’t blink his eyes. “She… loves me?” Donghae said with surprised. It’s not like he doesn’t know that Seyeon likes him, he just doesn’t believe that Seyeon’s feeling for him is for sure. Sooyoung nodded. “She loves you since a long time ago. But she gave up because you were my boyfriend and she didn’t want to ruin our friendship. Eventhough you only see her as a friend, but you have to know that she always loves you.” Sooyoung looked at Donghae deeply. “The reason why she doesn’t want to meet you is because she feel ashamed and she feel like she doesn’t deserve you anymore. She feels dirty.” Sooyoung almost cried when she said the last word. “Soo, what should I do now?” Donghae asked with a low tone. He seemed so depressed. Sooyoung could only silent because she also had no idea what to do in this kind of situation. Suddenly, Donghae lifted his head and he looked straightly into Sooyoung eyes. Donghae gave a small smile to Sooyoung as a respond. “Yeah, just like what you’re thinking.” Donghae said. Sooyoung smiled at him. “Are you sure, Oppa? I just don’t want you to do this because you’re forced to.” Sooyoung looked at Donghae with a concern face. Donghae shook his head. “Aniya, i’m not forced to. No one force me. It comes from myself, from my heart.” Donghae said. Sooyoung hugged Kyuhyun’s arm. “Ne. I’m happy to know it. 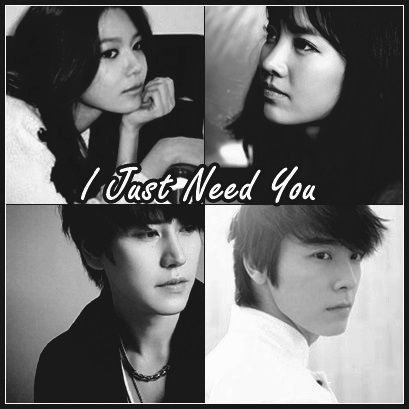 I hope Donghae act will make Seyeon feels better. My only hope for now is to see Seyeon recover and back like she used to be.” Sooyoung smiled softly. Kyuhyun stopped his step and he pulled Sooyoung into his embrace. “Kajima Soo-ya…” He whispered softly. Kyuhyun caress Sooyoung’s cheeks and his face slowly came closer to Sooyoung, until their lips meet each other. Kyuhyun crushed Sooyoung’s lips so softly, like Sooyoung was a fragile thing that might be broken anytime. Sooyoung closed her eyes while her lips slowly kissing Kyuhyun back. pengen baca FF ini ….ada yang indo ga?